With several news stories in Surrey relating to rogue traders in the area recently, it’s important to know what to look out for when choosing the right roofer for any work you need. This includes qualifications and accreditations they have which you can double-check with the relevant organisations. Roofing work isn’t something which should be taken lightly, and while many homeowners want to keep costs down, this shouldn’t come at the expense of the safety of those in and around your property. In fact, by cutting corners, it could cause more expensive issues later on. This goes for anything from replacing a broken tile to undergoing a complete loft conversion. 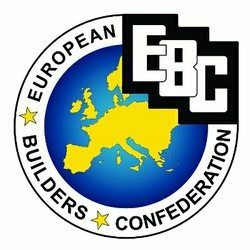 To help you navigate the maze of finding a roofer, here are some of the top accreditations and signs of approval to spot. This Government-backed Competent Person Scheme provides reassurance to property owners. It covers repairs to existing roofs, as well new flat and pitched roofs for domestic, commercial and industrial properties. Aspects not covered by the scheme include extensions and structural work. If you choose a roofer who is part of this scheme, they’ll provide a written statement after job completion that the work complies with relevant, up to date Building Regulations. This means that before the job starts, you may not have to contact your local authority, providing an all-in-one-service. 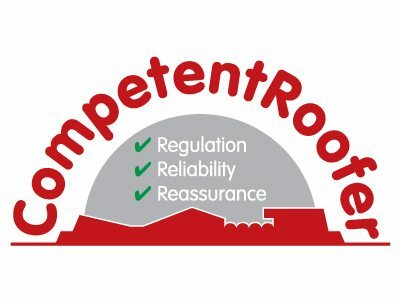 The CRC is a membership programme for professional roofers which lets property owners know that the contractor has roofing insurance, a 10 to 20 year guarantee on their work and that they’re competent to practice roofing. The NFRC is the UK’s biggest trade association for roofing, having a history which spans over 125 years. Membership with this organisation is a further seal of approval thanks to their independent vetting procedures and code of practice. Checkatrade is one of the handiest sites to use when researching a local roofer. Not only does the organisation approve companies itself through a series of checks which are listed on the member page but you can also see reviews from other customers in the area. They give ratings on everything from reliability and timekeeping to tidiness, courtesy and workmanship. TrustMark is a Government-endorsed quality scheme for homeowners. When choosing a roofer with this approval, you know they’ve passed a thorough vetting procedure. This includes measuring their commitment to good trading practices, customer service and technical competence, giving you peace of mind you’re in a safe pair of hands. You’ll probably have heard of this well-known scheme. They often work alongside Checkatrade to ensure roofers pass rigorous background checks, meeting strict criteria to gain membership. An exceptional roofing company may also be part of the FMB which covers property maintenance, emergency repairs and home improvements. They include roofing contractors on their scheme to help you find specialist services for all your needs. Looking for a qualified roofer? Here at South Thames Roofing, we’re members of all the above schemes, committed to providing reliable, high quality roofing services for all your requirements. We cover South London and Surrey, including Reigate, Purley and Weybridge. Contact us now to speak to an expert roofer.